Spend an amazing 7 nights exploring the National parks and rivers of central Dalmatia in Croatia, where you will be based in the picturesque town of Skradin. From here you will experience a variety of activities including rafting, cycling, river kayaking, sea kayaking, and hiking. 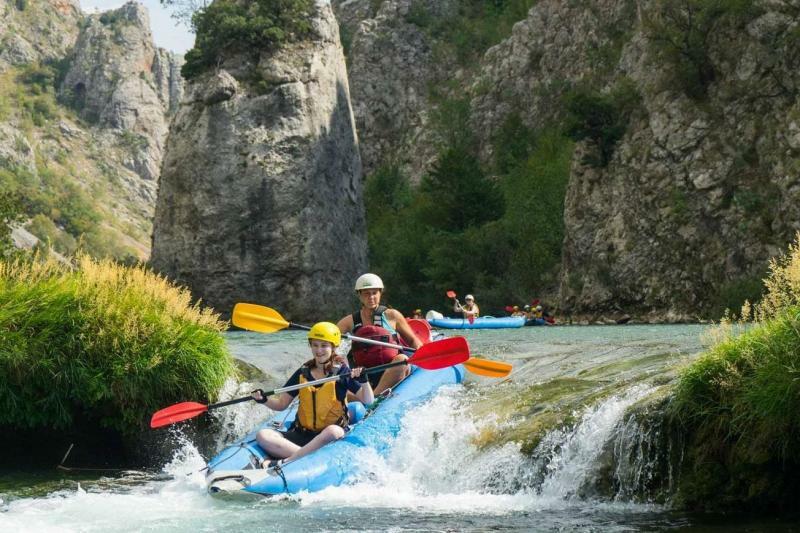 Raft down the Cetina River and kayak down the Zrmanja River. 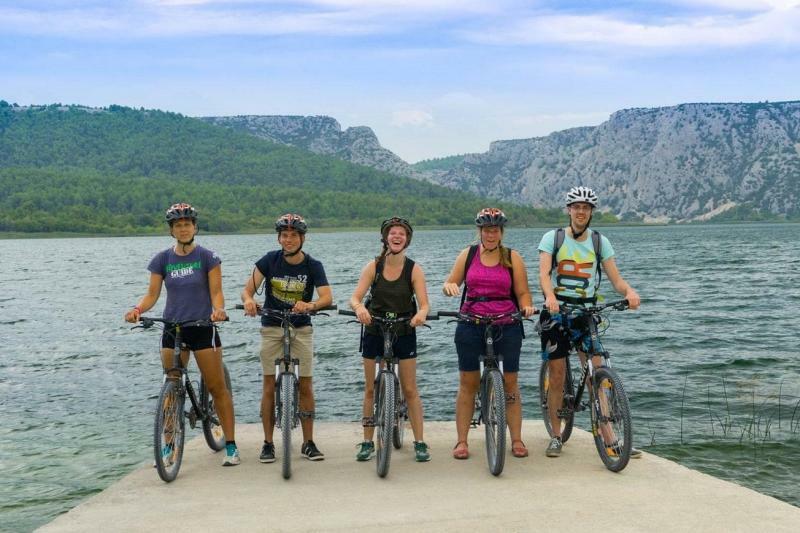 You will also enjoy Trekking in the Paklenica National Park and cycling in the Krka River National Park. Enjoy some of the most beautiful scenery Croatia has to offer! Arrival and check-in at the Skradinski Buk hotel, Skradin. Skradin is a small, picturesque town named after the famous waterfall on the river Krka. There will be a welcome meeting and dinner at the hotel in the evening. Settle in and explore the town. After a short introduction to paddling, head to to the island of Zlarin, just 2 km from the mainland. Paddle along the coast of the island until you reach the town of Zlarin, a perfect place for a picnic and some swimming. Continue on back to Skradin, enjoying views of the impressive fortress at the entrance to the town. Once back on land visit the ancient town of Sibenik with its beautiful Cathedral. 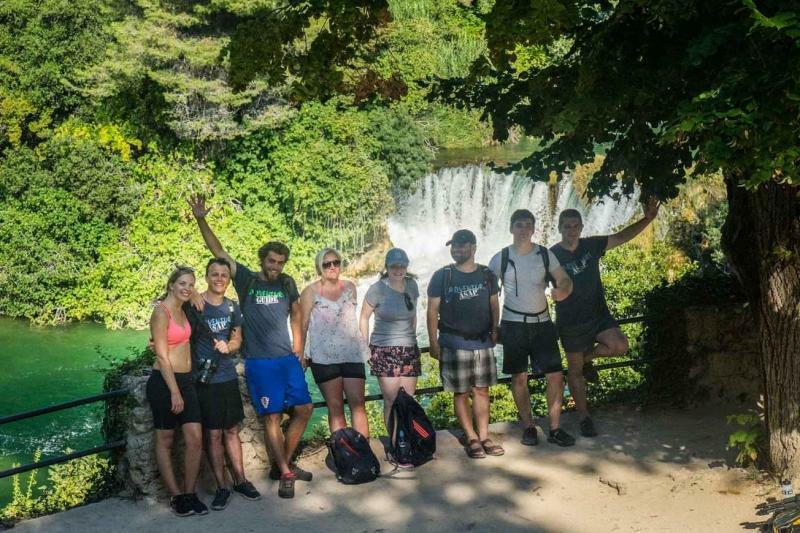 Cycle from Skradin to the Skradinski Buk waterfall in the Krka River National Park. The unusual karst formations and travertine waterfalls make it a beautiful place to swim. After walking, sightseeing and photos, take a swimming and snack break under the waterfall. Continue exploring the surrounding countryside by bike, the best way of getting around the park. Take a boat to Visovac Island and its Franciscan monastery, followed by a picnic lunch on the beach. Cycle downhill back to Skradin with great views over the Prokljan Lake. 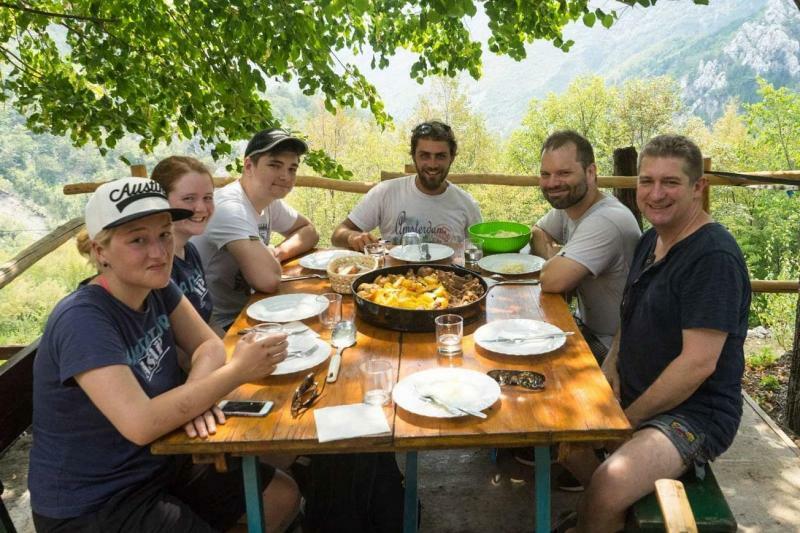 An early start, drive to the little village of Kastel Zegarski and start your expedition down the magnificent wild-west-like canyons of the Zrmanja and Krupa Rivers. Your craft may be a raft, canoe or sit-on-top kayak depending on the river conditions. A fantastic day out among waterfalls and easy rapids, hidden swimming pools, steep sided canyons. On your optional day you can be as active or as lazy as you wish! There are several guided excursions on offer, including hiking, canyoning, climbing, sightseeing or a beach trip. (Please note that the optional trip will incur an additional charge of approx € 50 per person). 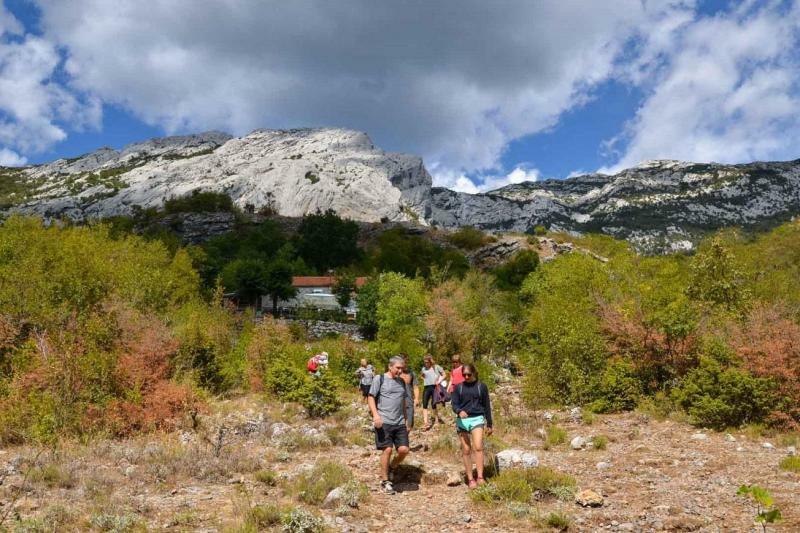 Head to the Paklenica National Park, the most famous location for trekking and rock climbing in Croatia. It covers the area around the Velika and Mala Paklenica rivers, and their distinctive canyons. 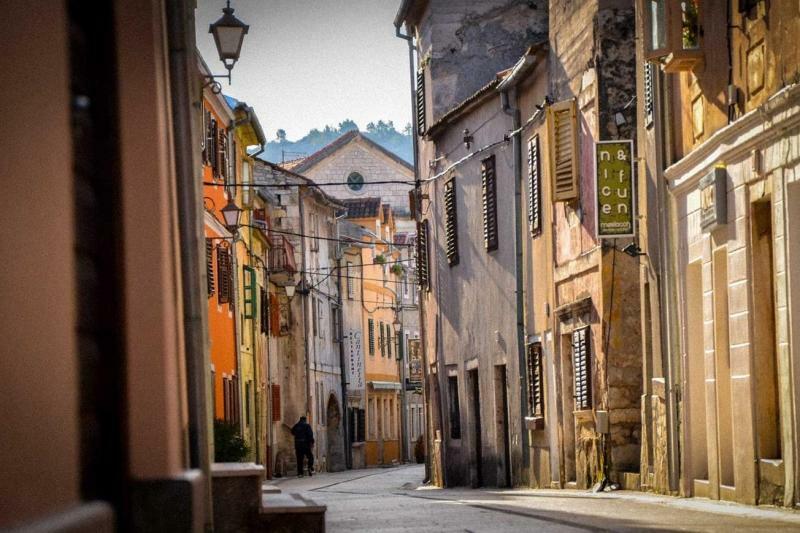 Afterwards head to Zadar, a beautiful old town on the Adriatic coast. In the past several years it has become an increasingly popular destination, and for good reason. Head to a little village near Omiš, on the Cetina River. 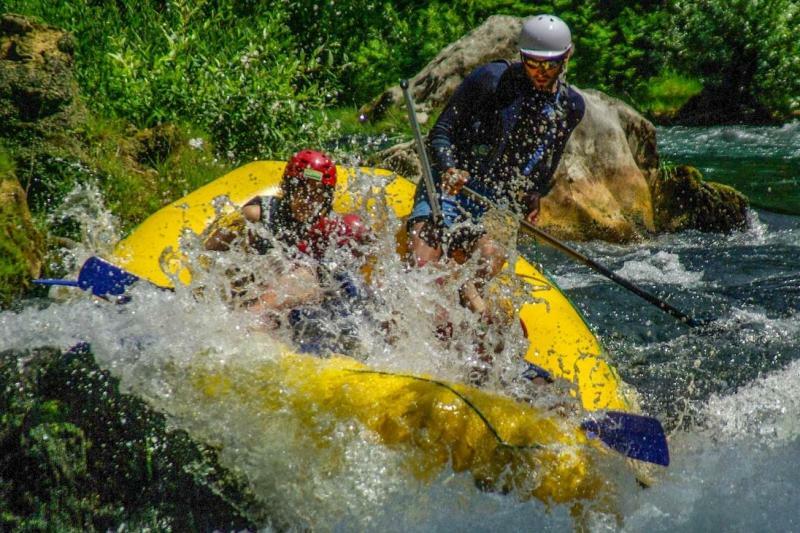 Clear green water, jungle-like forests, caves and waterfalls will make this rafting trip an unforgettable experience. Cetina is easy enough for families and absolute beginners. Finish up at Radman Mills, a restaurant in an old mill once powered by the waters of the Cetina River. After an optional lunch, continue on to Split or Trogir (the group decides). Return transfer to the airport. If you decide to spend more time in Croatia, our guides will be happy to recommend other beautiful places to visit - especially those you won’t find in tourist guide books. This itinerary is subject to change due to group abilities and preferences, weather, water levels, special events of interest, etc. Our travel partner will do their utmost to ensure the best possible experience for our guests without compromising safety at any time and reserves the right to alter the itinerary without prior notice. Group size: min 4, max 16 people. Minimum numbers apply. There is a possibility of cancellation after confirmation if there are not enough participants to meet requirements. In the event of this occurring, you will be offered an alternative or full refund. In case the minimum number is not met but those who have already confirmed still want to take part, the price increases by a percentage depending on the final number of participants. Single use rooms are available upon request, with a 20% surcharge. Sharing a room with another person is possible. The small, picturesque town of Skradin is a wonderful place to base yourself to explore the Dalmatia region of Croatia and its national parks, thanks to its location near the Krka river and the entrance to the Krka National Park. One of the oldest settlements in Croatia, there is a lot to see and do here; hike to the medieval fortress that towers above the town, take a trip to the local museum, visit the Baroque church or cycle to the nearby Skradinski Buk waterfall. With a population of just 4,000 people, it has a relaxed air and you can enjoy wandering the old streets, soaking up the atmosphere, maybe stopping off for a local beer or an ice-cream. There are a few good restaurants, bars and wineries, as well as a beach and marina. 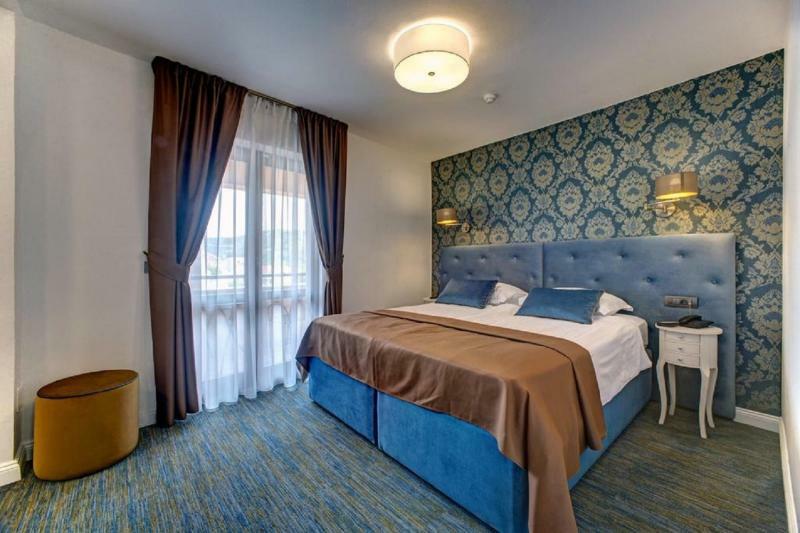 Located in the historic town of Skradin, this recently refurbished hotel is named after the world famous waterfall on the Krka river, and is perfectly situated to allow for numerous excursions to nearby national parks and other sites of interest in Šibenik-Knin county. The river is just a 5 minute walk away. You will be accommodated in completely renovated and refurbished rooms, equipped with air conditioning, mini bar, satellite TV, telephone, free WiFi access and bathroom. 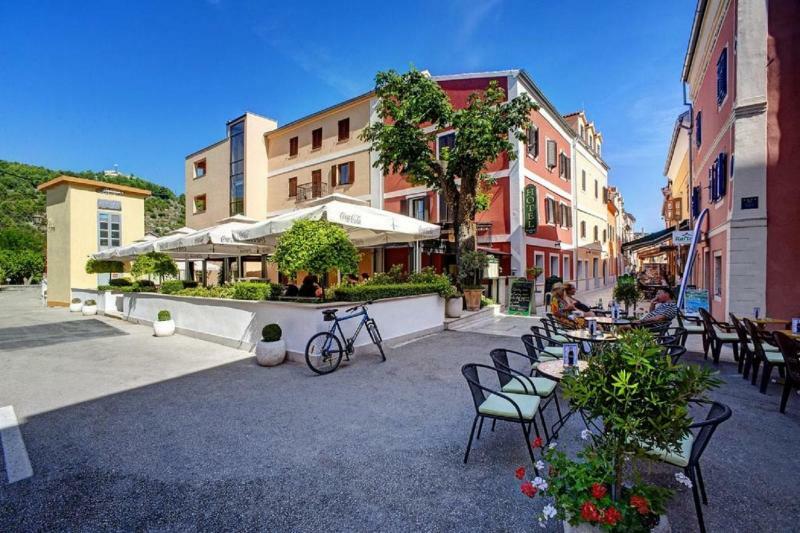 The hotel terrace can accommodate 200 guests to enjoy the dalmatian atmosphere, live music and local specialities. Return transfers from Split or Zadar airports are included in the price of your holiday. A fantastic sea kayaking holiday exploring the Dalmatian coastline - not for the faint hearted!